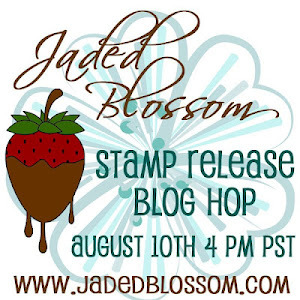 Jaded Blossom: Thanks A Latte! I used a cut from the Silhouette store. I welded to form card base. Paper is Simple Stories and Paper Trey Ink! they are STILL ON SALE!!!!!! What are you waiting for!! Go get yours before they run out again!! I hope you like my Latte card! and don't forget we have a release week ALL NEXT WEEK!!! I love this Abby!!! Love the paper choices too, its perfect!! Announcement, Winners AND a Giveaway!